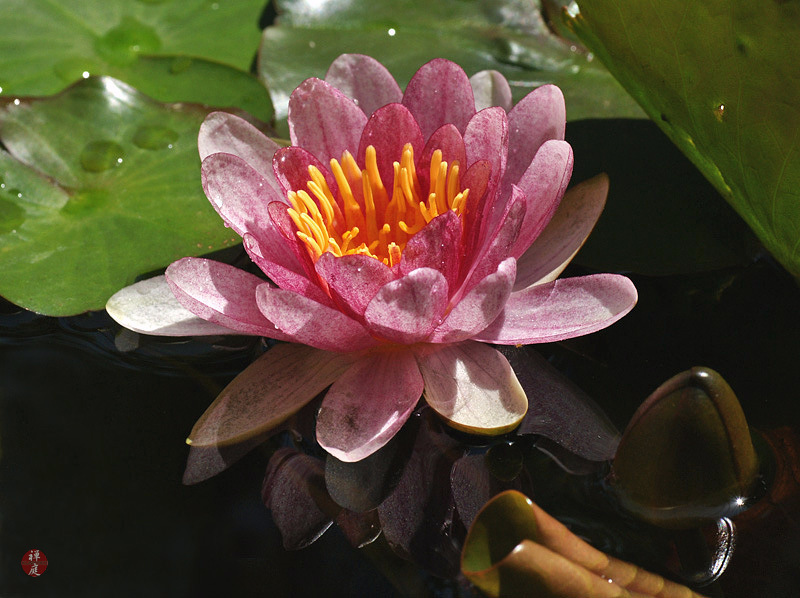 Summer has just begun in Kita-kamakura and water lily flowers are blooming one by one on the water surface of the basin in my little garden. This lovely flower is a long-awaited and welcome gift from early summer. I wonder how many flowers of water lily bloom in this basin this year.